Bought these from Avon about a month ago and decided to try them out. I bought some Frozen Pie crust and decided to try these cute little things out. 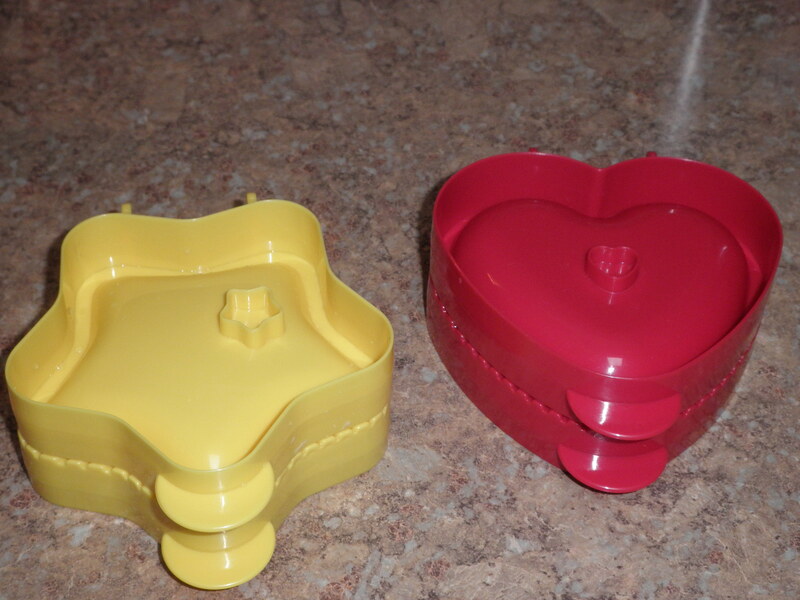 Avon makes these Pocket Pie Molds for 6 bucks. At that rate, I just couldn’t resist it. I scoured around the kitchen for canned pie filling, found 2 cans but all were a couple of years old. Hmmm good time to weed out outdated canned goods (here we go, diversion again). Two hours later, no pie filling. Went on the internet to figure how to use these things and found a web site from Williams and Sonoma that had those at twice the price and only 1 mold. Anyway, they had instructions on how to use them. 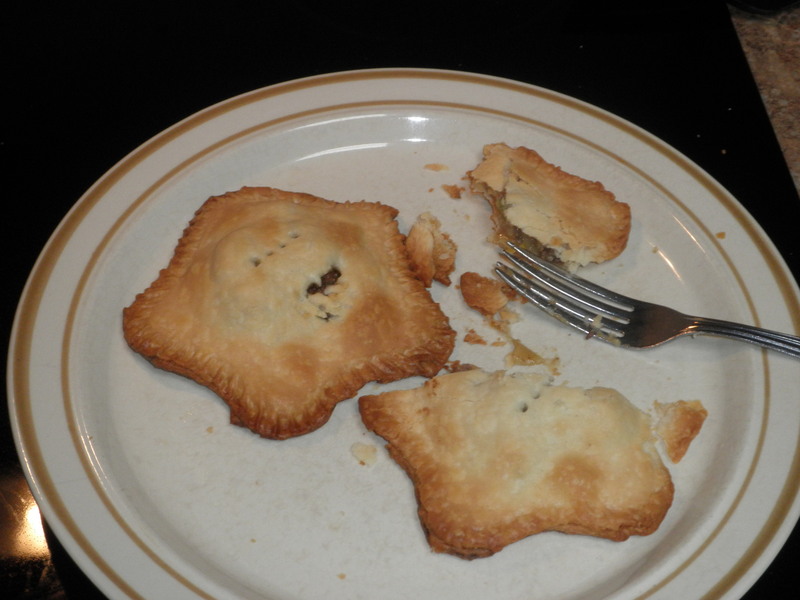 So, on to the fridge for some filling, hmm had home leftover hamburger stew, that sounds like a nice meat pie. Using it was pretty easy, cut out, put in the mold, fill, water around the edge, put top crust on, close mold tightly, open and check the seams. That was easy. 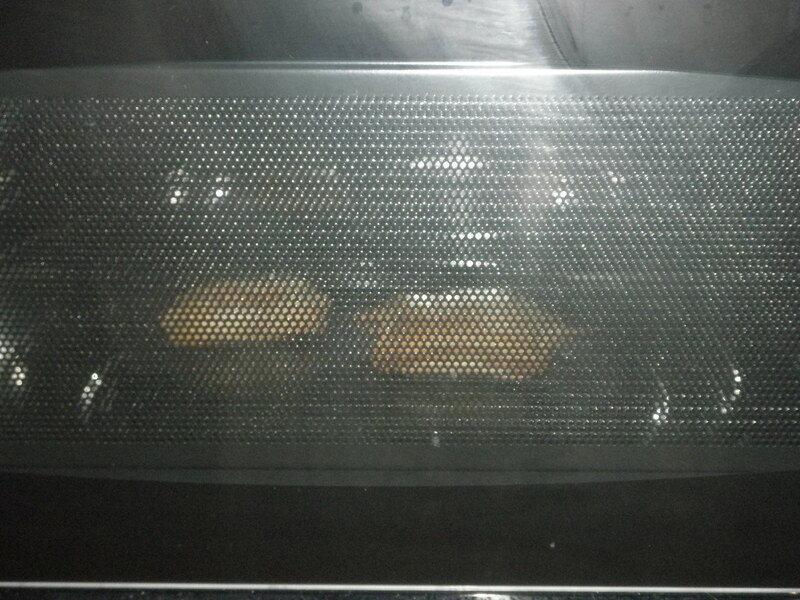 I didn’t have an oven so opted to use my micro/baking oven. This is the micro/baking oven cooking the pies. Considering the learning curve, the pies came out pretty good, soo, this morning I made another batch, this time using real bananas and apples. In the banana pie, I cut ripe bananas, put in some butter, sprinkle a lot of sugar and a tad of cinnamon. In the apple I sliced the apples thing, put butter ( I love butter, real butter), sugar, and cinnamon. Sprinkled some sugar on the top for effect and baked them. This is the meat pies. I only make 3-4 at a time cause that’s all the 1 roll of pie crust makes. Maybe i’ll try some homemade pie crust next. 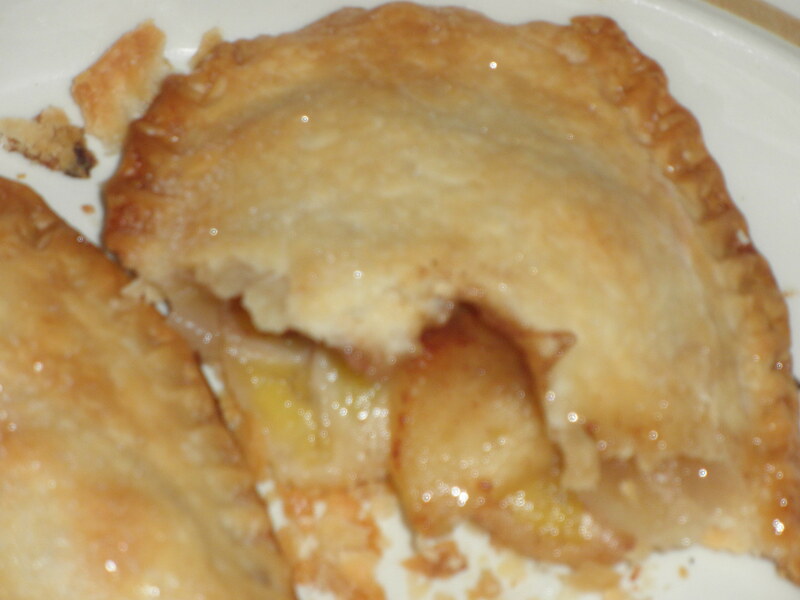 An this is the homemade apple pocket pies. Looks and tastes good! For 3 bucks and change each, I think this is worth it. They are still on sale at Avon: http://shop.avon.com/shop/product.aspx?pf_id=39918 . And today is free shipping! Try make some!